Deepika Padukone is one of the most stellar success stories of Bollywood today. With 30+ films and top contracts in her kitty, the leggy model from Bengaluru has come a long way from her days as a top model. Apart from Bollywood, Deepika also is the face of many brands today and co-owns the “All about you” fashion brand on Myntra. But what’s often ignored that she has a famous father. Prakash Padukone is a former a badminton star and celebrity in his own right. The father and daughter share a deep bond and have also appeared in a few ads together. 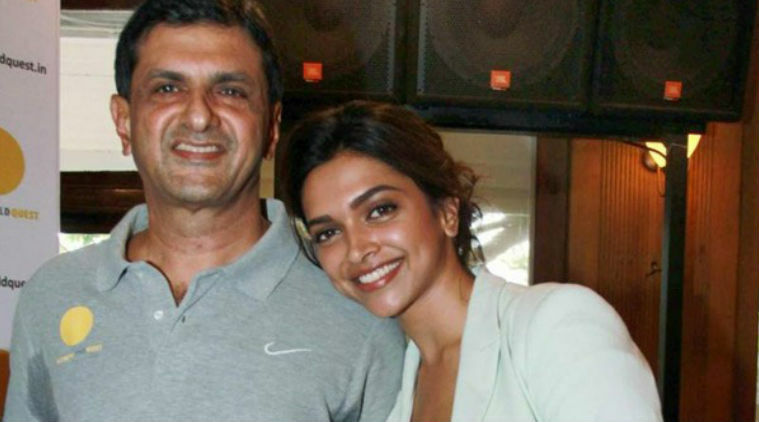 In Sudha Murthy’s book “Legacy”, Prakash Padukone’s writes a letter to his daughter Deepika. It talks about her success, but most importantly expounds on the journey that got here there. It also includes valuable lessons on staying humble and down to earth in the face of a charmed life. We know that you are in the film industry because of your love for it. Early on in life, even as a child of nine or ten, we knew that you were meant for modelling and to be under the arc-lights. You were a natural. Even so, at eighteen, when you told us that you wanted to shift to Mumbai to pursue a career in modelling, it was hard for us to come to terms with the decision. We felt you were too young and too inexperienced to be alone in a big city, in an industry we knew nothing about. In the end we decided to let you follow your heart, like my father had taught me all those years ago, as the only way to live fully. In the sixties, most middle-class families had their sons into engineering or medicine as that guaranteed a secure and stable future. Your uncle, Pradeep, and I were Junior National Champions together, but he pursued his interest in engineering and went off to the US for a career. In the last few years, we have seen you mature into a young woman who has her head on her shoulders. I, on the other hand, had no intention of going down that path, and I was fortunate that my father gave me the freedom to follow my passion for a game which held very little promise of ever making money. His approval changed the course of my life. Had he forced me, I would have been a miserable, average engineer plodding through life. When the time came for you to make a decision about your future, we thought it would be cruel to not give our child the opportunity to pursue a dream that she lived and breathed for. If you succeeded, it would make us proud, but even if you didn’t, you would not have any regrets that you did not try. In retrospect, it has turned out to be the best thing we did. We are proud of the independent, sensible, focused young woman that you have become, a woman who effortlessly manages the things that compete for her attention every day—a demanding career, keeping house, managing the staff, and keeping in touch with family. at all times. Showbiz is about make-believe. Everybody will rush to do things for you and pander to your every desire when you are on top. But the cameras that follow you everywhere will eventually fade and what will remain is the real world. If you occasionally wonder why we refuse to treat you like a star, it is because you are our daughter first and a film star later, and we want you to remember that you have to eventually return to the real world. Dear Deepika, you are in an industry where there is much negativity, but I hope that you are the game-changer in it. As in every other industry, so too here, there is a place for everyone, and I believe that you don’t have to put anyone down in order to get work. If you can live your life without harming anyone, or talking badly about anyone, you can set an example for others. You might not succeed, you might even risk ridicule, yet continue to refuse to be a part of the circle of negativity. Strive to generate positivity around you even though you are too new and too small a player to effect a big change. That big car or ‘things’ will follow later. The things that really matter in life are relationships, honesty, and respect for your parents, and elders. Often you will find people who will lie and say untruths about you, but remember never to retaliate or talk their language. If what they say is untrue, ignore it. And if it is true, use their criticism to improve and transform yourself. You are in an industry where there’s always going to be big money, but I hope that’s not your only motivation for work. I believe that it is important to try to be the best in whatever you do, regardless of money. Always focus on what you want to become as an individual and empower yourself to reach your goals without distractions. That big car or ‘things’ will follow later. The things that really matter in life are relationships, honesty, and respect for your parents, and elders. Material success is important, not fundamental to happiness and peace of mind.